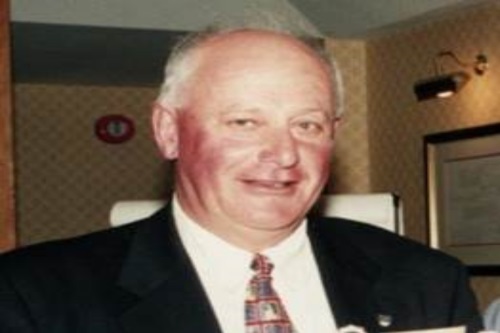 We regret to have to inform Members that John Thornburn passed away on Wednesday night after a long illness. John was a Wine Merchant in partnership with the late Alan McKechnie, for whose Formula 5000 racing team he had been Team Manager when he was approached by a near neighbour and aspiring young driver in the person of Nigel Mansell. John arranged for one of his team’s mechanics to have a look at Nigel’s second hand Formula Ford Hawke DL11 and saw that it had a seriously twisted chassis. There was no time to fix it for the following weekend when Nigel won his race, much to John’s amazement. After watching Nigel in action at Thruxton he was so impressed that he offered to help Nigel through Formula Ford into Formula 3, becoming a close friend and mentor. When, many years later, Nigel’s sons Leo and Greg, started racing John was always on hand in an advisory role. John started in team management with the successful Team Elite 62 from its formation until 1965. One of the principal drivers for Team Elite was Jim Clark’s Formula 1 team mate, Trevor Taylor, whose family set up Aurora Gears Racing for Trevor to compete in Formula 2 and sports car racing from 1965 to 1967 with John as Team Manager. Team Elite was revived in 1967 for GT racing with a Lotus 47 and Lola T70, again with Trevor as the main driver and John as Team Manager. After Team Elite closed its doors, John joined Alan McKechnie Racing, managing the team to the ShellSport Formula 5000 title with Bob Evans driving a Lola T332 in 1974 when this spectacular series was at its height. With Richard Scott as driver in 1975, the team won the Formula 5000 race supporting the Daily Express International Trophy at Silverstone with Durex sponsorship resplendent on its Lola T400 to the dismay of the BBC which withdrew its coverage of the race! The association with Nigel Mansell began in 1976 and the following year Nigel fully justified John’s faith in him by winning 33 of the 42 Formula Ford 1600 races which he contested and taking the BRDC Brush Fusegear championship. After 1979 Nigel was established as a Formula 1 driver so John’s role became less prominent but he remained behind the scenes providing advice and guidance. Later in 1986 John was Team Manager for Bromley Motorsport in Formula 3000 and in 1990 managed a Formula Vauxhall Lotus team. To his wife Jane and their family the BRDC offers its sincere condolences. Jane and their family would like to extend an invitation to Members to attend John’s memorial service on Monday 13 June at 2.30pm at St Michael and All Angels Church, Ledbury, Herefordshire HR8 1DR and after at the Feathers Hotel, Ledbury.